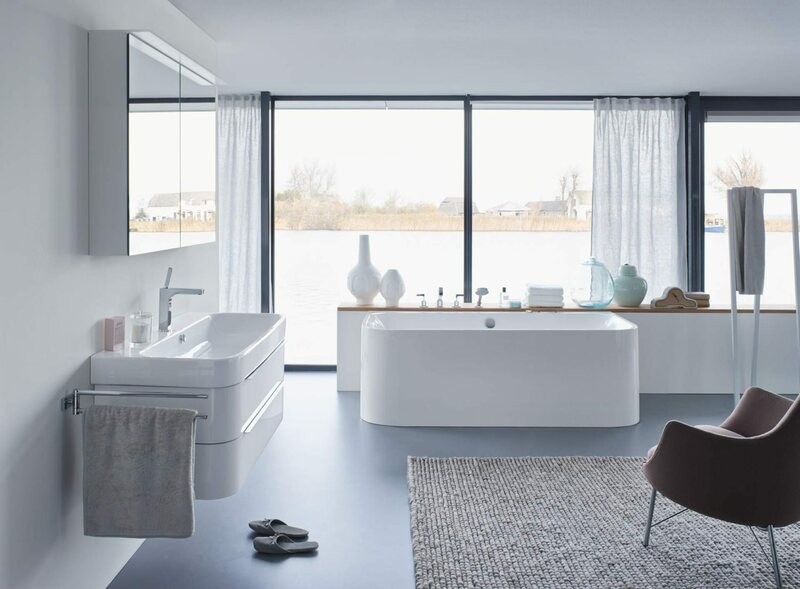 Duravit brings you one more fabulous creation to pamper you. 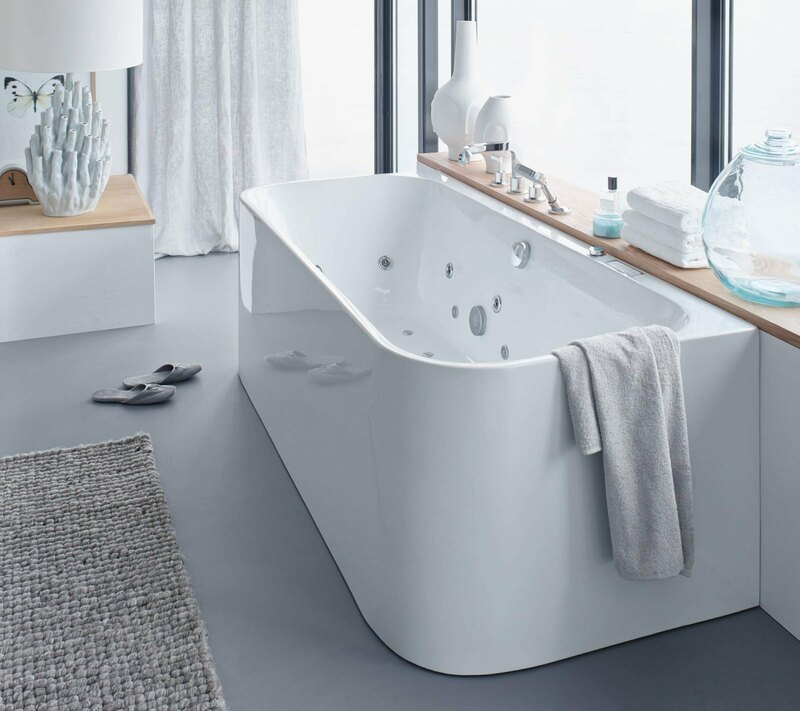 The Happy D2 Back-To-Wall rectangular Bath with and Jet-System is the sheer indulgence that you deserve. 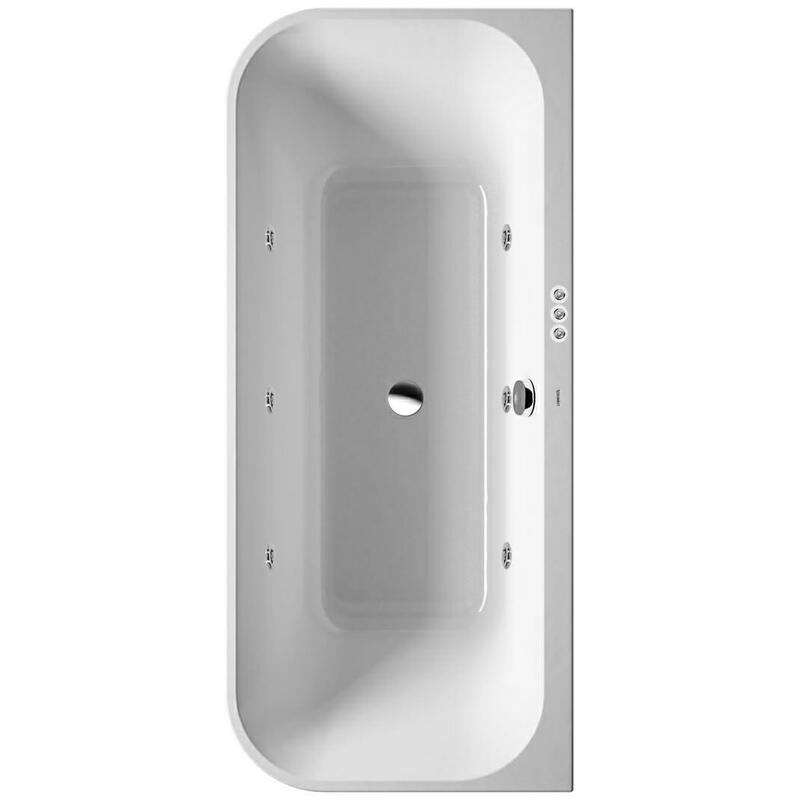 Equipped with two backrest slopes, this lightweight acrylic bath comes with a 5-year warranty. 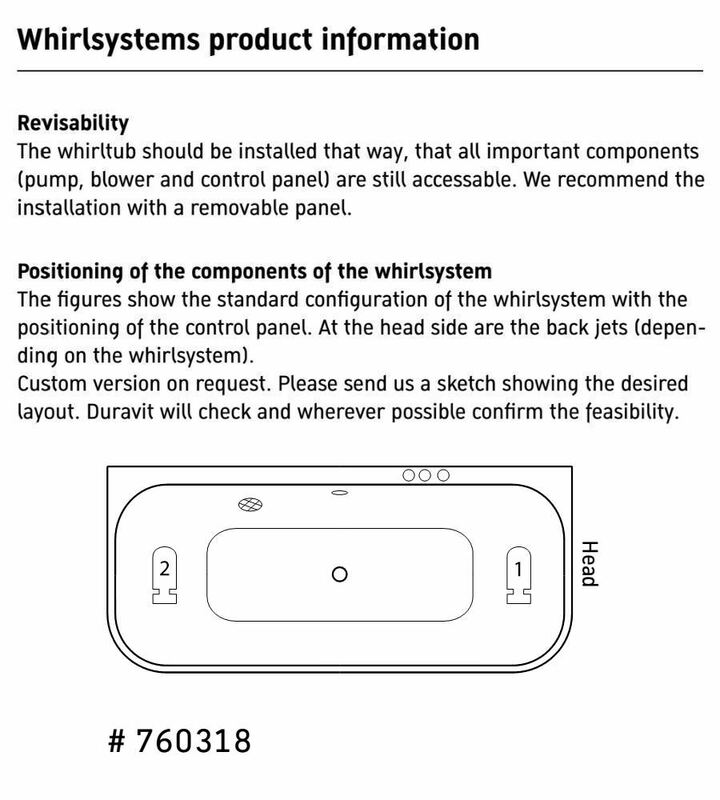 Its high point is its Whirlpool Jet System that is efficient, comprises of 6 adjustable side jets that function on a mixture of water and air and can be controlled to suit your requirement. 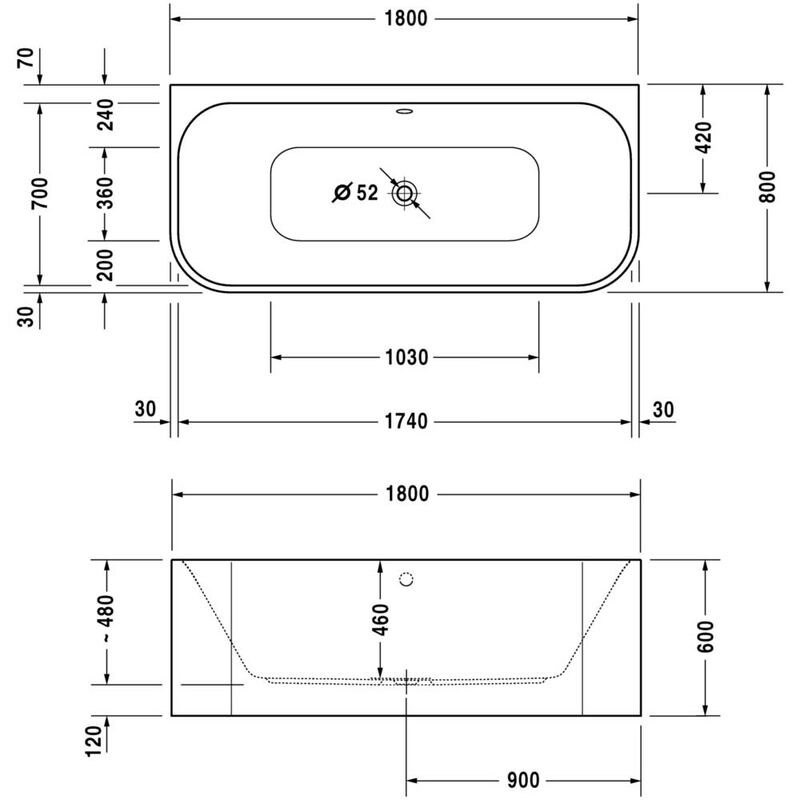 A support frame, waste and overflow are included.